It’s impossible to eliminate all of the scents that your body produces prior to hunting. There’s just no way to get rid of scents altogether. But you can take a few simple steps to control the scents that your body emits throughout the course of a day. And when you take these steps, it will increase your chances of success the next time you go out hunting. 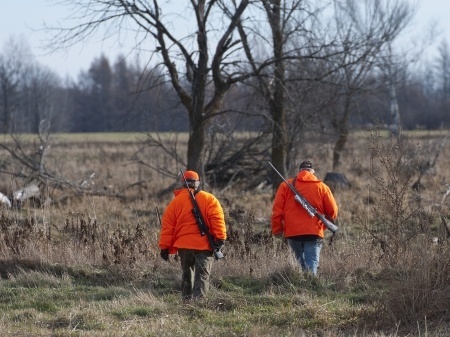 Today we’ll look at a few easy scent control tactics you can try on your next hunt. Choose your soap and shampoo wisely. It’s not a good idea to use heavily-scented soaps and shampoos before you go out hunting, but you would be surprised by how many hunters don’t even consider this when they’re getting ready. Many use whatever soap is available without giving it a second thought. Make sure you have some scent-free soap and shampoo products to use before a hunt instead. You should also make sure you shower thoroughly to get rid of any unwanted scents prior to a hunt. Before you head out to hunt, you should brush your teeth to get rid of bacteria and odors. You should also think about using unscented mouthwash and even hydrogen peroxide, which can cut down on bad breath and any scents associated with toothpaste and mouthwash. Wear clothes that don’t have any scent attached to them. This step can be tricky, but it’s possible to achieve. First, you should make sure all of your hunting clothes have been washed with a scent-free detergent. You should also get into the habit of heading right out the door and going to your hunting destination once you get dressed. The last thing you want to do is linger around your house and allow your clothing to pick up unwanted scents. Some hunters will even bring their hunting clothes along with, and then change when they get to their destination. Of course, you can also block scent emissions with a deer blind. To learn more about all the great hunting blind options we offer, give us a call or contact us online today.